After almost two decades at its console, musical director Patrick Wedd has gained an intimate knowledge of Christ Church Cathedral’s Karl Wilhelm organ. 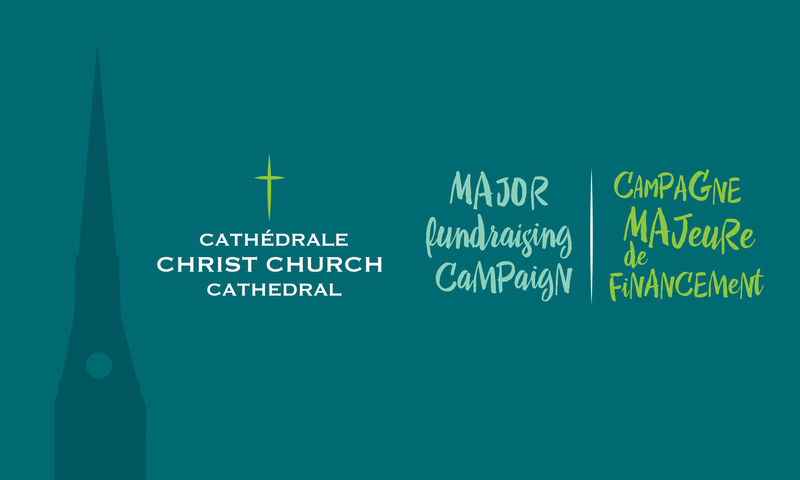 Spend a few moments in his company to learn about the instrument and find out what work is planned as part of the renovations funded by the Cathedral’s Major Fundraising Campaign. The Assistant Organist and Organ Scholar working in the Cathedral’s organ loft. The Cathedral maintains an active relationship with McGill University’s Organ and Church Music Department, helping to train some of the top organists in the world. A McGill graduate student in the doctoral program usually acts as Assistant Organist, while an undergraduate student takes on the role of Organ Scholar. Both are usually referred by the Chair of the Department. The Cathedral provides a unique opportunity for students, helping them pay for tuition and housing and allowing them to work with seasoned musicians of the highest calibre. They familiarize themselves with the repertoire and gain experience playing one of the last mechanical organs remaining in North America. To render the full range of certain compositions, the Cathedral’s Karl Wilhelm organ requires two people to do stop changes; the Organ Scholar works the stops while the Assistant Organist plays the keyboards. The students get well-rounded musical training, also singing in and directing the choir and taking part in the life of the congregation as well as that of the Montreal music community. Students like Hilary Punnet and Donald Hunt have gone on to shine, occupying top posts in UK cathedrals. Of the funds raised during the Major fundraising campaign, $180,000 are earmarked to restore the Karl Wilhelm organ, maximizing its sound quality and range. If you would like to support the cleaning and upgrading of the organ, the Cathedral’s music programs and the replacement of our concert piano, please click here. Big or small, every donation counts! Have you thrilled to the sound of the Cathedral’s Karl Wilhelm organ? Have you benefitted from the Cathedral’s training program? Would you like to share your story? We would love to hear from you! Next PostNext Restoration of the cathedral building – work is in progress!